The San Jose Police Department is facing the possible loss of one of its most valuable crime-fighting tools. Robert Handa reports. The San Jose Police Department could be losing one of its most valuble crime-fighting tools: its helicopter. The police department is asking the city to help buy a new helicopter because the current one is old and soon will not be safe to fly. SJPD's helicopter, Airbus EC-120B, has been a dependable tool since it was first deployed in 2000. But now it is the oldest law enforcement helicopter of its kind in the nation and well past the usual life of six to eight years -- or 10,000 hours. San Jose has managed to extend that life with major overhauls. Councilman Raul Peralez, a former cop, said it has been good investment for public safety. "The benefit for being able to fight crime with a helicopter is so tremendous," Peralez said. He added having the chopper on a daily basis for the officers is "a tool we want to have every single day." But the police helicopter only has about 500 flight hours left before it is no longer safe to use. 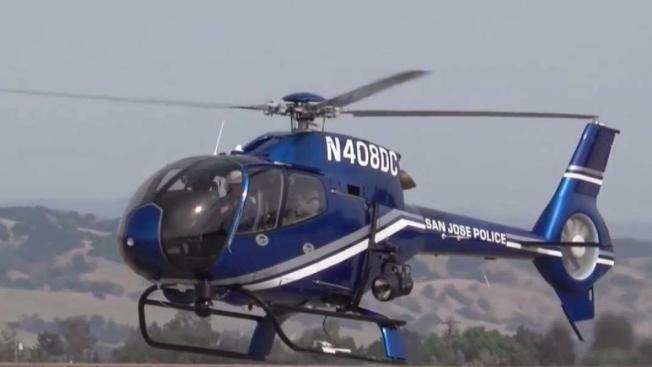 SJPD is already cutting back on hours to try to save the $500,000 it would cost for another ovehaul, which is money officials would rather put toward a new $3 million helicopter. The city will take up the budget issue next month around the time the chopper will run out of safe hours. "It looks like we will extend the life, but we will still be down for a few months if not having a helicopter," Peralez said.